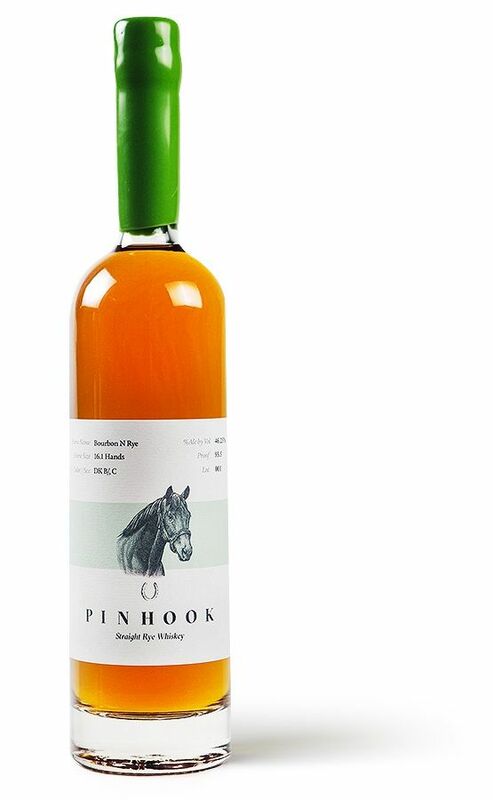 Through a partnership with Bourbon Lane Stable LLC, each unique, limited edition lot of Pinhook Bourbon and Rye will showcase one extraordinary thoroughbred’s journey. The bottle is individually hand-waxed and the labels reveal the horse’s profile, which can be tracked on our website. This straight rye whiskey has bright aromas of fresh apples, licorice root and cinnamon sticks that give way to a deep and rich palate of brown sugar, candied black licorice, vanilla bean, raisins and dried apricot. The Bourbon N Rye release is the first edition of straight rye whiskey produced by Pinhook. The traditional mashbill has over 24 months of barrel age on it. It was blended by Sean Josephs at Castle & Key Distillery in Millville, KY.